Venice really was a beautiful city and it truly is frozen in time. It feels as though you are stepping into the 17th century. I was very happy to go up the bell tower and see Venice from the sky. It was a magnificent view and made me think about how Venice really hasn’t changed over the centuries. Basilica San Marco still stands proud, glittering in the sunlight. 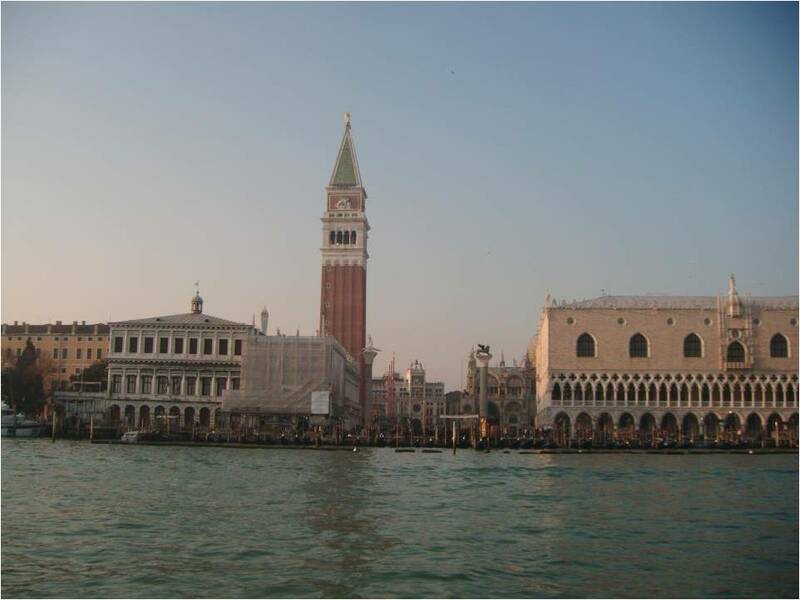 Despite being rebuilt the Campanile di San Marco, (the bell tower) still towers above the crowds, reminding the tourists of Venice’s rich and long history. Finally Doges’ Palace sits as a reminder of Italian power and royalty. These reminders of Venice’s rich history are things which Canaletto would have seen in his day. It’s quite wonderful to think that an artist all those years ago stare at the view of St.Marks Square and was memorized and now hundreds of years later an art student like me can stare at the same view and be equally entranced. Prepare for another day of feet pounding against your skin, yells in your ears and pigeons in your veins. 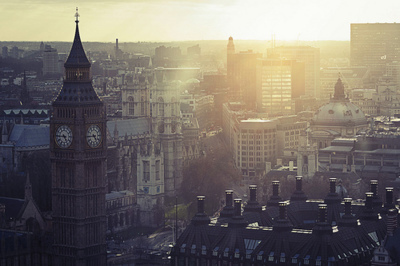 Hopefully you enjoyed that little bit of my creative writing, it is really odd seeing London in the morning versus in the middle of the day. That’s why I wanted to write this poem. I also just posted my second London diaries video, its in another format than my first one so let me know what you think. Click the link above to see the video. I hope these snippets about London are enjoyable for you and give you a unique insight into this great city.